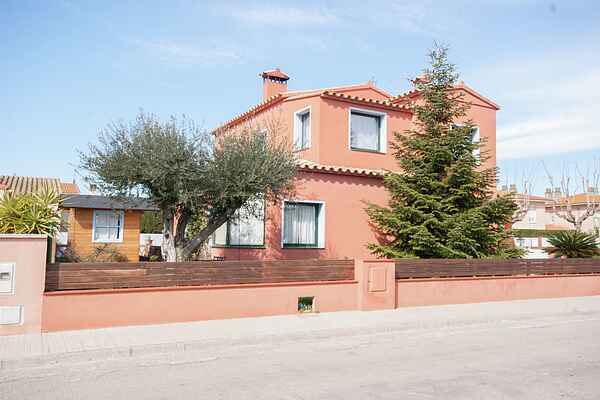 Detached house with private pool and is located in a residential area a few meters from the center of Sant Pere Pescador and only 2 km from the beach. The house has two floors, on the ground floor there is a spacious living room with access to garden, fully equipped kitchen and a toilet. On the first floor are the bathroom and 3 bedrooms, one with dressing. In the garden next to the pool is a wooden house ideal for children and beside the pool is a perfect porch to eat outside.